The New York Giants will have a different player providing running back depth this season. 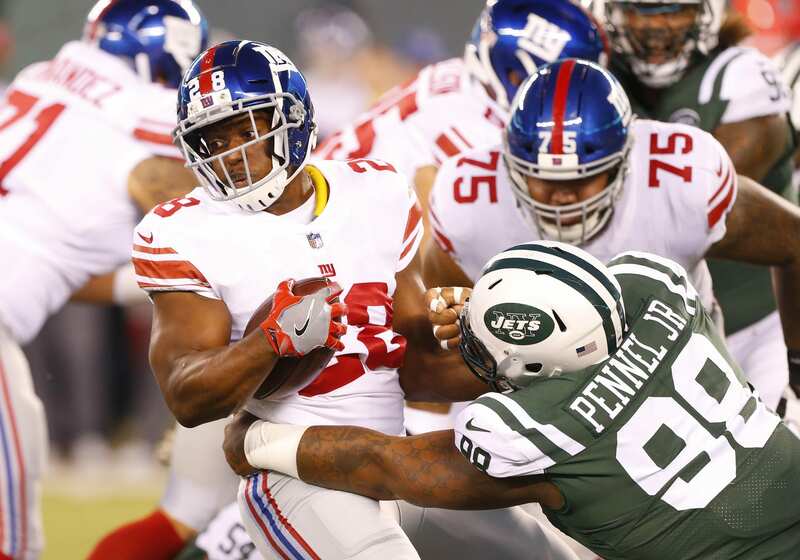 Jonathan Stewart had a poor start to the 2018 season and didn’t get much of a chance to bounce back after picking up an injury early on, and now, the Giants are moving on from the 31-year-old veteran running back. Stewart only played in three games and had the worst year of his career by far, finishing with only 17 yards. He only had six rushing attempts total before being placed on the injured reserve list near the end of September. After spending a very short time on the active roster, it doesn’t look like Stewart will get a second shot to prove himself worthy of backing up Saquon Barkley, a job that was taken over by Wayne Gallman early in the season. According to The Athletic, the team is not picking up the option for the second year on Stewart’s contract. The move will save the Giants $250k in cap space, which isn’t anything amazing but will still help when it comes to adding players that actually contribute something to the team. Gallman, who largely played the role that Stewart was expected to play when he first joined the Giants, rushed the ball 51 times for 176 yards and one touchdown last year. It’s not great numbers, but Saquon Barkley obviously had the spotlight at the position and dominated carries. The numbers are down from Gallman’s first year in the league, and with Stewart leaving the team, another good backup running back might be one of the needs for the Giants now that the starting spot is firmly locked down by a star player.